In the inevitable digital era, it is quite likely that you came across the term “rotating IP address.” However, when it comes to explaining what IP address rotation is and the cause it serves, it might become a challenge. To fully understand the purpose of this practice, let’s revisit the basics first. What is IP address rotation? IP rotation is a process where assigned IP addresses are distributed to a device at random or at scheduled intervals. What seems like just a random bunch of numbers, in fact, allows computers or devices to communicate over the internet with other online resources. An IP address identifies every device connected to the internet, just like our physical addresses identify where the letters, parcels and other goods should be delivered. IP stands for Internet Protocol, which is, in essence, a particular set of rules governing all internet operations. From a network communication perspective, an internet protocol ensures that all resources connected to the internet can effectively integrate into the whole framework, and consequently forward or route data packets based on their IP addresses. The bottom line is that for one device to communicate with other resources online, an IP address is a necessity. Currently, there are two versions of IP addresses. The commonly used – Internet Protocol version 4 (IPv4). The upcoming successor – Internet Protocol version 6 (IPv6). Both IPv4 and IPv6 addresses come from a finite pool of IP addresses. For the IPv4 version, this pool is 32-bits (2³²) in size and contains 4,294,967,296 IP addresses. While for the IPv6 version, this pool is 128-bits (2¹²⁸) in size, containing 340,282,366,920,938,463,463,374,607,431,768,211,456 IP addresses. As already mentioned, IP rotation refers to a process where assigned IP addresses are distributed to a device at random or at scheduled intervals. For example, when a connection is active via an Internet Service Provider (ISP), an IP address is automatically attached from a pool of IPs. As soon as a disconnection and reconnection occur, the ISP will distribute the next available IP address, therefore creating IP address rotation. Internet Service Providers use IP rotation because they usually have more users than IP addresses at their disposal. 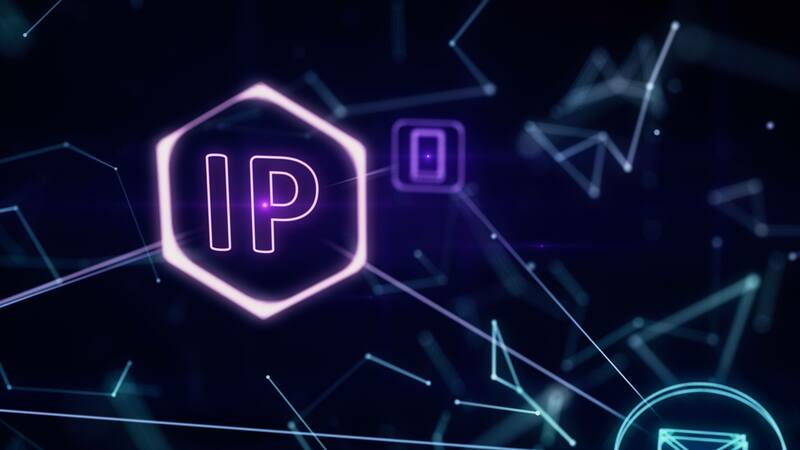 Hence, when a particular user disconnects, the ISP will bring back the user’s most recently used IP address to their pool of IP addresses, thus ensuring the optimization of existing resources. What Is a Proxy Rotation? So, ISPs rotate IP addresses, and this process is transparent to their users. However, out there in the online world, there are plenty of cases when internet users intentionally rotate their IP address. In fact, not even an IP address, but they rotate proxies, which allows them to operate under multiple different IP addresses. If the proxy server is accurately configured, it is possible to rotate IP addresses from a proxy pool of IP addresses. With rotating proxies, you can manage numerous connections from a single device, and to carry out web crawling and data scraping operations becomes a much easier task. Here at Oxylabs, we offer a Proxy Rotator that does all the work for you. How does it work? A client gets one entry node (with the necessary amount of static proxies inside) which is used as a static address in order to get a proxy from the list. The rest is pure magic on our side! The rotator works by random IPs method, meaning it rotates an IP on each request. First and foremost, proxy rotation enhances the level of anonymity. Secondly, as already mentioned, it is a widely used practice to automate such tasks as data scraping and web crawling in order to increase success rates. When it comes to web scraping operations, a common challenge faced by many is avoiding getting blocked by websites while trying to gather the data. Several techniques can aid the prevention of blocks, and one of them is a proxy rotation. It can help to operate scrapers past most of the anti-scraping measures as it allows to imitate the behavior of multiple organic users. Hence, strengthening the chance of being undetected while gathering vast amounts of data. There are countless cases out there when proxy rotation is being used. For instance, SEO firms use proxies that automatically rotate to check keyword rankings from various locations or to promote specific content on social media accounts. Whereas, data intelligence companies rotate proxies automatically to scrape websites for analytics and performance purposes. So, if you implement rotating proxy infrastructure and do it right, the likelihood of being blocked by websites is slim to none. For this part, I have asked our tech guy Mindaugas to answer a few questions about proxies and IP rotation fundamentals. Why is it essential to rotate proxies? The answer is quite apparent. A lot of people think that to carry out web data extraction tasks you only need reliable proxies to mask your IP address. However, websites employ various anti-scraping measures as they are not willing to give up their data. It is not illegal to scrape websites, but certain sites don’t make it easy. So when web servers notice suspicious and bot-like activity at their end, they block the IP address. So the answer is as follows – rotating proxies are essential to imitate organic user behavior in order to operate undetected on websites. What tools can you use to rotate proxies? Well, standard tools don’t offer an effective way to rotate the proxy pool. A tool like Scrapy can aid in this procedure. However, ideally, you would need a tech person on your team, that could correctly configure the proxy server, automate IP rotation and monitor the procedure. From my own experience, the most straightforward way would be to leave it for us to rotate proxies on the customer’s behalf, or at least work closely with an account manager and support team to ensure correct setup and configuration. What are the most common mistakes with proxies and IP rotation? Make sure that it actually works! The most common mistake comes from incorrectly configuring the process itself, and consequently overusing particular proxies. What’s more, the same proxy should be configured in only one way. A common mistake is to use one proxy and have multiple configurations for it. When it is in use, websites get suspicious of various configurations that the proxy is displaying, and will start blocking it altogether. For rotation to work effectively, you need to have a sufficient proxy pool at your disposal. All of our proxies are continuously checked on performance, but if you are working with proxies from elsewhere, make sure that they are reliable and secure. Then, you should divide your proxy pool into groups. As a rule of thumb, the more proxies and groups you use, the more likely it is that your IP rotation process will be effective. Lastly, rotate the groups regularly to prevent overusing a particular set of proxies. Lastly, does a rotating proxy provide higher success rates when it comes to web scraping? Yes, and rotating proxies should be high on everyone’s list. As mentioned before, it allows imitating organic user behavior. With correct proxy rotation, you can bypass restrictions and most anti-scraping measures that are put in place by web servers. Now you know what benefits a combination of proxies and IP rotation provide, and the purpose it serves. If you are indeed carrying out data scraping and web crawling tasks, we highly recommend implementing a high-quality proxy rotation solution to increase your success rates and protect your proxy pool infrastructure.